Winter 2018 was wonderful. The northern end of the Snowy Mountains offered a unique, family friendly environment. We're looking forward to next year's snow season and hope it will be as long lasting and as fun. People who like informal family 'snow play' always find this in the Kosciusko National Park near Kiandra. If you want an organized environment with ski runs and lifts, toboggan runs and all the fun things, then Selwyn Snowfields is the place for you. 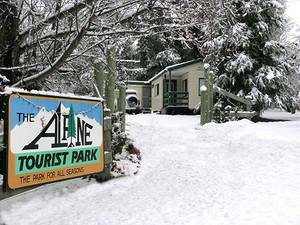 For your Winter fun, whatever you want, you'll find it close to the Alpine Tourist Park. Conditions are great, so come and enjoy. The northern part of the Kosciusko National Park is ideal for everyone, from the really experienced, to those interested in snow play with the family, to those just starting out. You hire when you arrive in town and return them before you leave to go home. Has a SKIERS' DRYING ROOM. Toboggan and Snow Tube Parks. Easy and accessible parking close to the main buildings and lifts. Situated near the Kiandra historic goldfield.